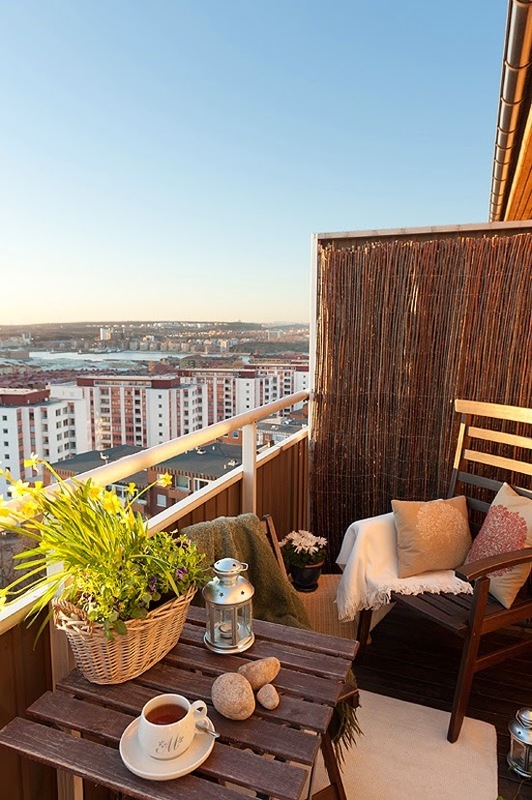 If you love the great outdoors, coming home to your small apartment and even tinier balcony (if you're lucky enough to even have that!) can be a bit of a bummer. 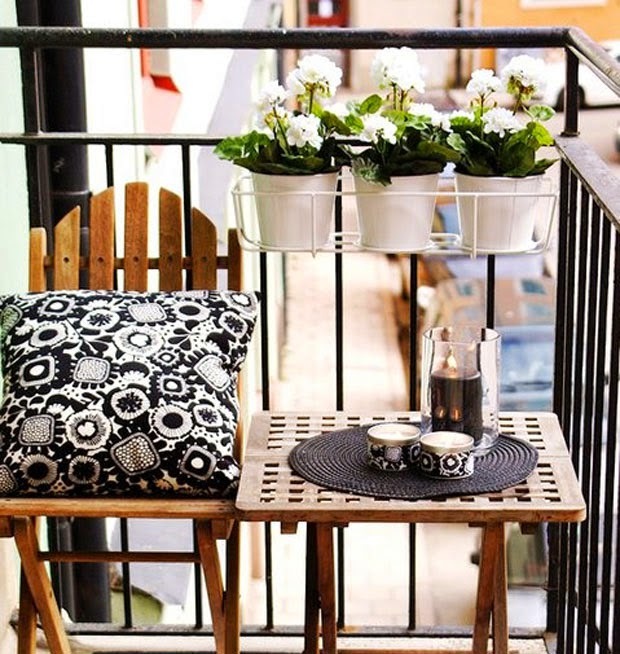 But no matter how small your outside space is, a few small comforts can transform it into a mini retreat. 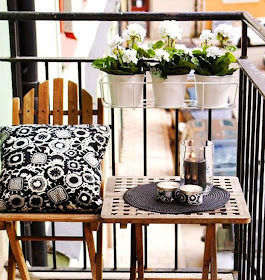 Even if it's a single stool or a floor cushion on the ground, a spot to soak in the sun or curl up with a book is the most important thing when creating an inviting balcony. You don't need a full barbecue buffet, but even a shelf that can hold a cold cocktail or warm mug of coffee creates convenience. Via Drop Dead Gorgeous Daily. Duh. The point of being outside is to be in nature -- at least, kinda. Even if you're in the middle of a sea of glass and concrete, bringing in greenery will soften the hard, shiny urban cityscape and add a much needed contrast with color and organic shapes. You can create a colorful palette with flowers, a useful herb garden, or even larger plants like ferns and potted trees can create some privacy or shade from the sun. If you're out of college, there's no excuse for decorating with Christmas lights unless it's actually December. 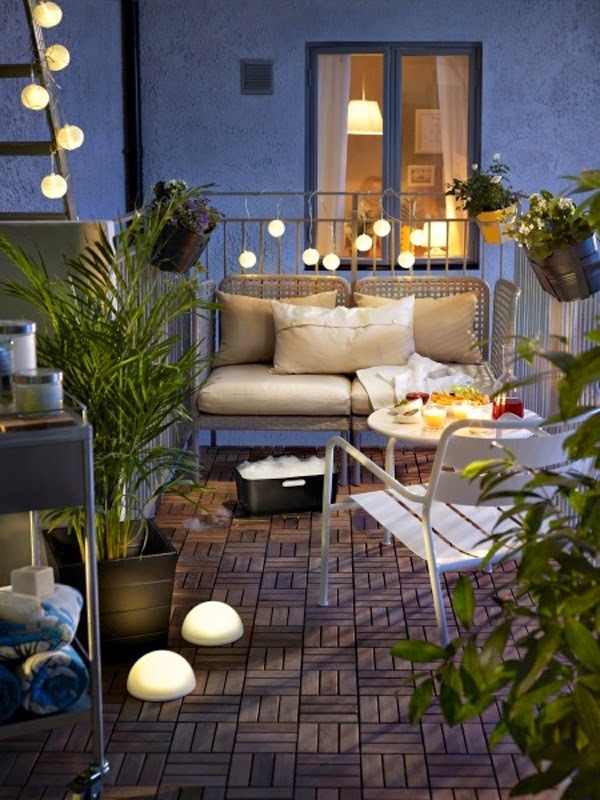 But outside, a string of sophisticated mini-lanterns or round bulbs can shed some light at night, giving your space a fun party glow. If your balcony faces your neighboring building or even the street, you might hesitate to do a little sunbathing if you feel on display. Put up trellis lattice work, bamboo screens, or Roman blinds to stay out of view while still letting in light and air. 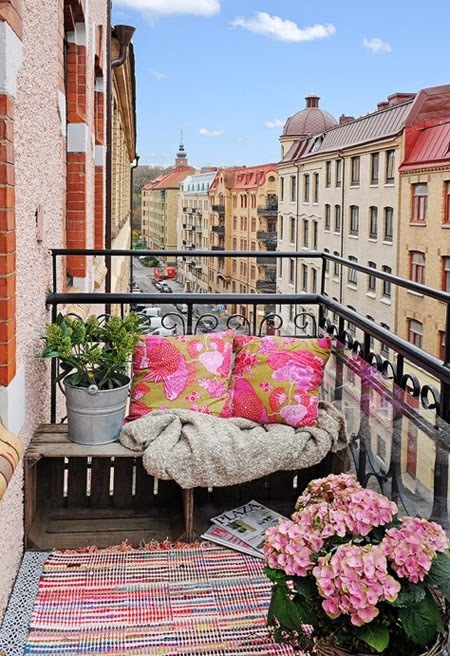 This is for the advanced class of balcony decorators, since you have to haul any cushions, blankets, or pillows inside when the weather gets wet. 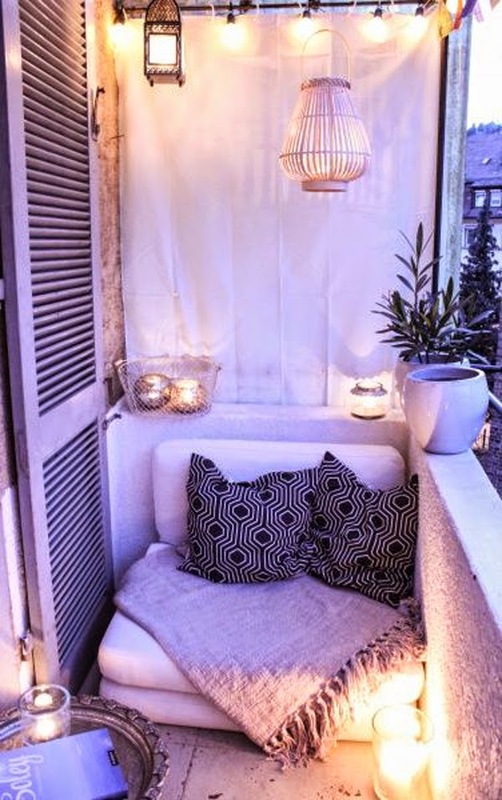 But a cozy blanket will help you enjoy your outside space well after the sun goes down. 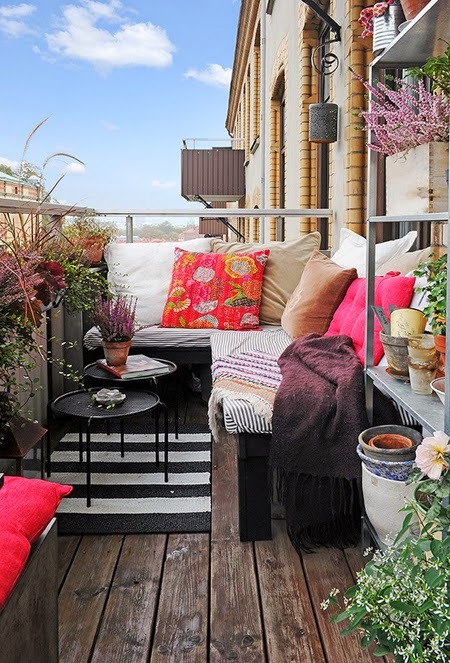 You might think that there's nothing you can do with a dirty concrete floor, but rubber mats, outdoor rugs, and even decking tiles laid on top can take your balcony to the next level.